Walking hand and hand through a new city, eyes wide at the kaleidoscope of sight and sounds is one of the most exhilarating experiences you can share with your significant other. When you travel together, you can create memories that the two of you will share for years to come. Whether you’ve visited a special city together, or you’re planning a whirlwind trip to pop the question, here are a few of our favourite engagement rings that pay tribute to the world’s most inspiring cities. 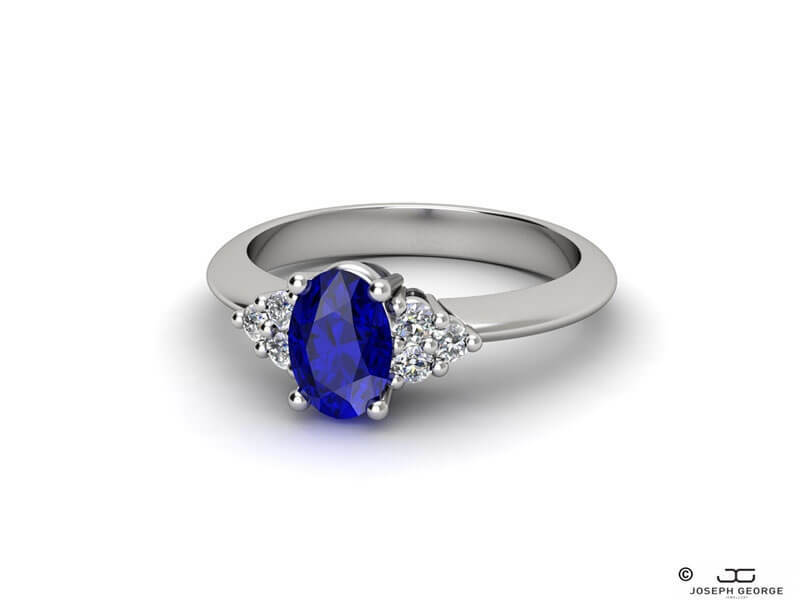 Understated elegance abounds in this timeless sapphire and diamond engagement ring. The classic design is subtly eye-catching with its centre 1 carat sapphire in royal blue, framed by a trio of diamonds on each side. With our Polymnia engagement ring, your fiancée wouldn’t look out of place strolling through the National Gallery or catching a film at an art house cinema in Notting Hill. 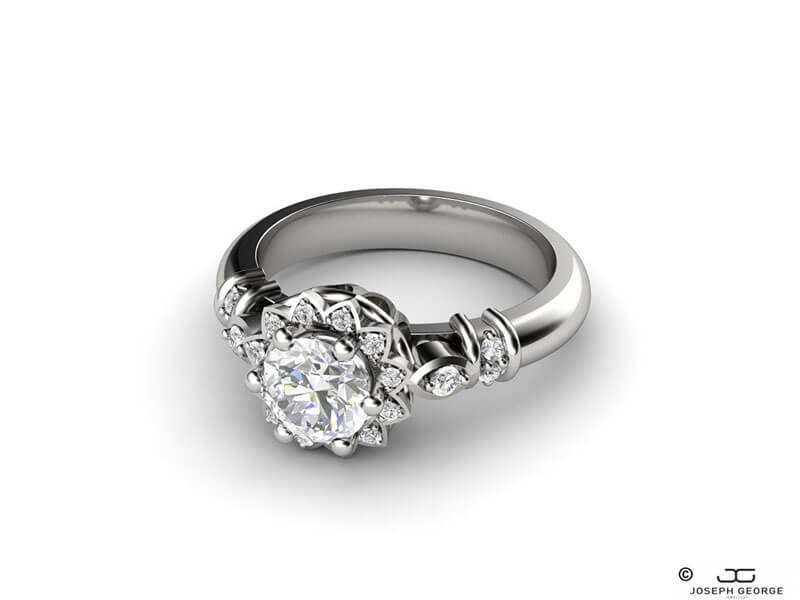 Our Polymia engagement ring is an elegant choice. 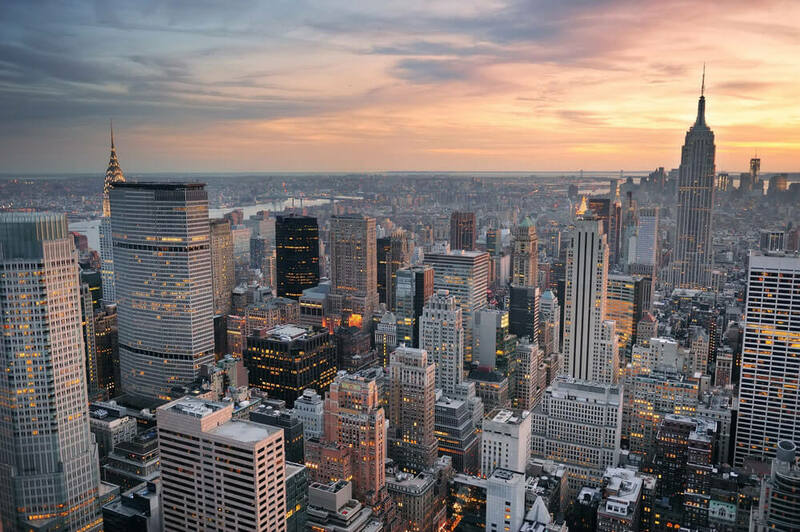 The atmosphere in New York is something that can’t be matched. The city that never sleeps is dynamic, romantic and exciting all at once, and we think our Rhea diamond engagement ring is just the ticket to pay tribute. With a showstopping emerald cut diamond, as well as a diamond set band, the Rhea is stunning from every angle, just like the New York skyline. The perfect accompaniment to sipping cocktails on a rooftop bar as the sun sets over Manhattan. Our Rhea engagement ring screams New York glamour. The capital of romance, Paris still has something to offer lovebirds from around the world. See the city of light from atop the Eiffel Tower at night, stroll through the Jardin du Luxembourg with a gelato or people-watch at a cafe together. Paris has nothing to prove, but it exudes style and class, just like the unique Anthea engagement ring. With a beautiful flower arrangement of diamond petals making a halo around the central sparkler, the geometric design brings to mind the rose window at Notre Dame, as well as the dazzling glass pyramids of the Louvre. Embody Parisian chic with the Anthea engagement ring. The allure of Japan’s capital comes from its multi-faceted nature, much like the Thalia diamond engagement ring. From the futuristic Tokyo Skytree to the soft pink bloom of cherry blossom flowers throughout the city’s parks in spring time, Tokyo is infinitely enchanting. With it’s clean-cut, sophisticated lines, the Thalia ring features a twisted band with pave stones, and a princess-cut central diamond. 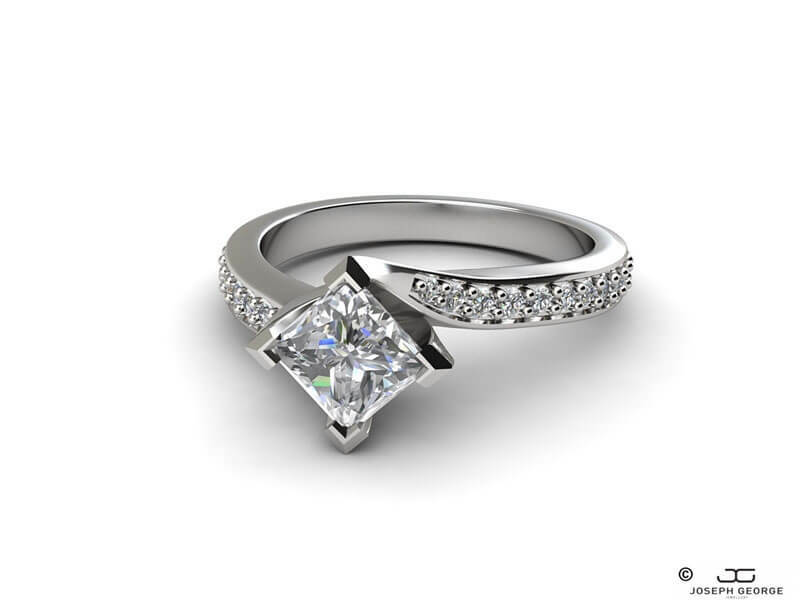 Our Thalia engagement ring is a nod to Tokyo style. Looking for something a little different? 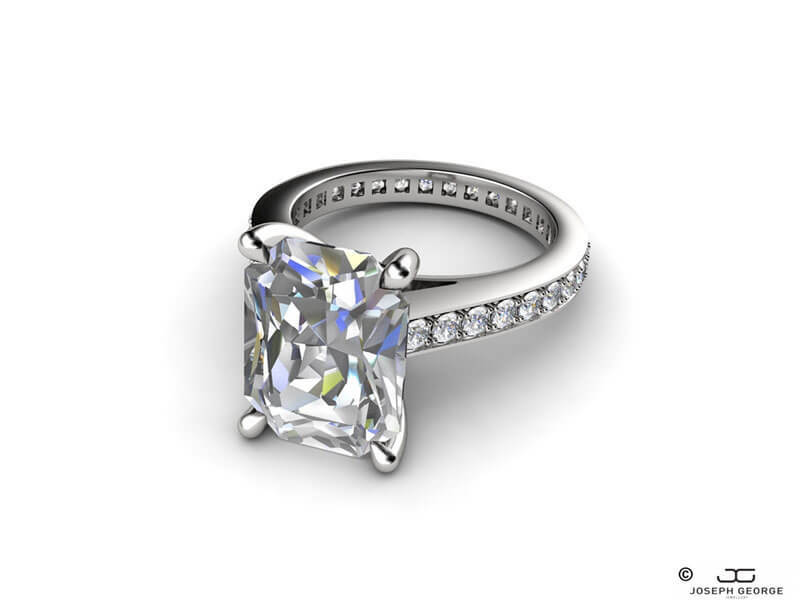 We can also create a custom designed engagement ring for your other half. Get in touch with us at Joseph George to find out more.